Below is the Foodland Grocery flyer for Foodland at Toronto – 623 Danforth Ave. The flyer is valid from Friday, July 17, 2015 to Thursday, July 23, 2015. 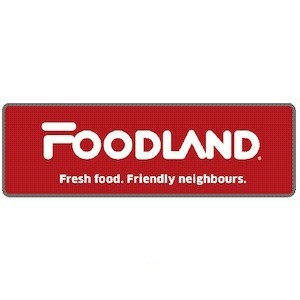 You can check out Foodland‘s website for a flyer close to your own location. Store Made, 11.00/kg $4.99 /lb. SAVE 2.00/lb. Fresh, Value Pack, 6.59/kg $2.99 /lb. SAVE up to 3.30/lb. Product of Canada, Canada No. 1, 2.84/kg $1.29 /lb. Product of Ontario, 5.49/kg $2.49 /lb. Product of South Africa, 6.59/kg $2.99 /lb. Product of Ontario, Canada No. 1, 3.28/kg $1.49 /lb. Product of USA, No. 1 Grade, 4.39/kg $1.99 /lb. Value Pack, Cut from Canadian AA Grade Beef or Higher, 15.41/kgSPEND $10 EARN 6 AIR MILES ® reward miles $6.99 /lb. Fresh, 3 Rib, 2 Sirloin, 5.49/kg $2.49 /lb. Bone-In, Value Pack, Air Chilled, 13.21/kg $5.99 /lb. Air Chilled, 7.69/kgBUY 2 PKGS EARN 5 AIR MILES ® reward miles $3.49 /lb. Cut from Canadian AA Grade Beef or Higher, 30.84/kg $13.99 /lb. Grain Fed, Fresh, 19.82/kg $8.99 /lb. Product of USA, No. 1 Grade, 6.59/kg $2.99 /lb. SAVE up to .50/lb. Fresh, 26.43/kg $11.99 /lb. SAVE up to 6.80/lb.